One can only wonder if the fellow sleeping in a bedroom at the Old Yarmouth Inn, in Yarmouthport, Massachusetts had heard the following story â€¦ Early one morning, a guest in the Quisset Harbor room awaoke to find a man in Victorian era clothing standing at the foot of his bed, apparently confused at the presence of the stranger who was occupying his bed chambers. Sporting jowls and robust cheeks, the apparition watched the guest while the guest watched the apparition, until the spirit faded from view. Had he heard this story it’s unlikely he would have agreed to take a room there alone, as by all accounts, this fellow was terribly afraid of ghosts. So you can imagine his chagrin when in the middle of the night, he felt a weight settling down at the foot of his bed. His eyes opening wide, he could see no one there, but in a few minutes he felt a touch upon his foot, which proceeded into a full foot rub. One can only assume that even in his fear, the patron enjoyed the experience as the unseen hands finished its task, and then took the footposts in its grip and began to shake the bed violently, back and forth. Needless to say, the guest spent the remainder of the evening on the porch. Now you might put this down to an over-active imagination, except the innkeeper’s 89 year old mother stepped onto the deck that morning and announced that she wasn’t able to sleep due to all the racket across the hall. 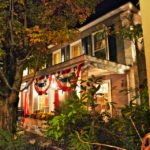 For myself, I was more than happy to walk through the door of the Old Yarmouth Inn, even though it was only for dinner. 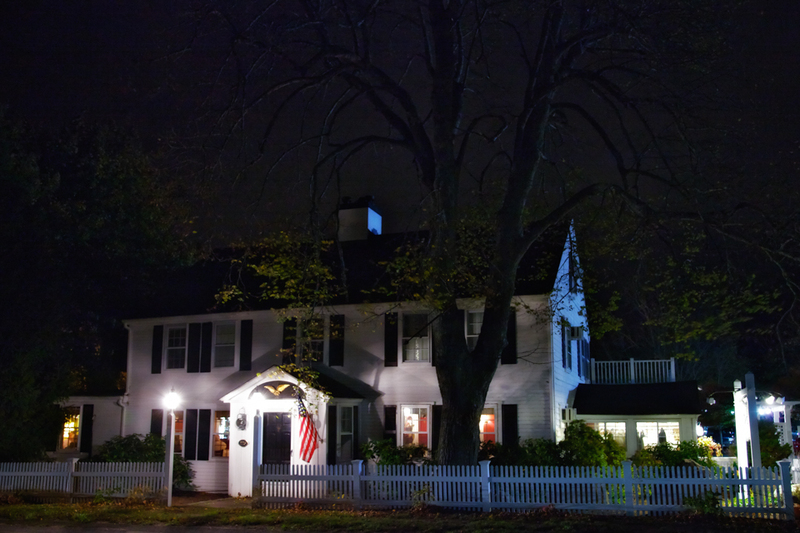 I had spent a fitful night in the also haunted Beechwood Inn in Barnstable, Massachusetts, the gateway of Cape Cod the night before. And I had a full day of exploring from Barnstable to Providencetown and back. I had caught and photographed the most amazing sunset I’ve ever seen just before, and I was cold, tired and hungry. Stepping inside the Old Yarmouth Inn, it feels a lot like stepping inside someone’s house , sometime in the 19th century. 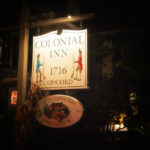 Hospitality has been the stock in trade of the establishment since 1696, making a reasonable claim to being the oldest inn on Cape Cod. Ideally situated almost dead center between Plymouth and Providencetown, it made an ideal stop-over on what would have been a day and a half coach ride, providing the weather was accomodating. 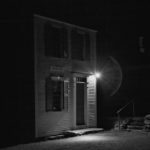 As a result, you can assume that thousands of people have crossed the Old Yarmouth Inn’s threshold, and so putting a name to an apparition would prove difficult. Not that people haven’t tried. My favorite is a theory put forth by one of the myriad of websites offering the tale of the ghost-fearing tenant above, who believes the spirit who gives foot rubs to be a woman, as a woman of the period would have been likely to have done this. Or even better, a slave. And there’s the story that a secret room in the attic was used for the underground railroad, where escaped slaves were shuttled northwards to safety. But then again, many an attic room had what looks to be a secret entrance, including the house I live in now, which was built in the decidely non-slavery era of 1896. Besides, once an escaped slave had reached Cape Cod, there wasn’t really a lot further they could go to be away from the south, except perhaps Maine or off the coast into the Atlantic Ocean. Which helps to explain why I don’t do a lot of reading up on a location before I visit. Just the facts ma’am, discern which rooms are thought to be haunted, and then go in with few preconceptions and an open mind. 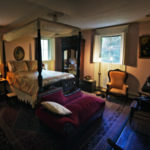 I knew that the only places where apparitions had been spotted in the Old Yarmouth Inn, at least in stories told publicly were in the guest rooms. But that was out of the question this night. It was to be dinner and a drink or two – in and out. Which meant the most active rooms I could visit were the Rose Room, which I caught a glimpse of immediately upon entering, and the bar, on the other side of the wall from the Rose Room. The Rose Room, Old Yarmouth Inn, Yarmouthport, Cape Cod. I opted for the bar, though in retrospect it might have behooved me to have pleaded for a spot in the empty Rose Room. Even if something did happen in a rather busy section of the restaurant like the bar, which has been known to happen more than once, the fear factor is dissipated. Fear is best experienced alone in my opinion. You might not have a witness, but you have an experience. It puts me in mind of a quote of the late Frank Zappa, and one can only believe that he’d make an iteresting ghost – whiskey makes a man want to beat his wife. Beer makes him want to do it with his buddies around. I’m paraphrasing, but you get the idea. A communal ghost experience just doesn’t make it. There are several reports of communal paranormal experiences in the bar. 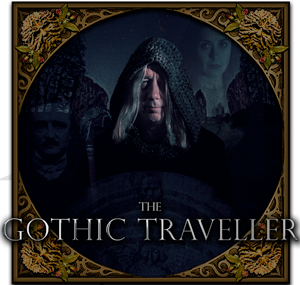 One woman, proclaiming her disbelief in ghosts found the shutters covering one of the windows coming off and sailing across the room, narrowly missing her head. The owners experienced a single pane of the same window vibrating wildly, with no earthly cause to be found. Ashtrays have hovered over the bar before sailing to the end. Kitchen equipment turns on and off, lights dim of their own accord, in short a fairly active poltergeist seems to be roaming the place. Most recently, the wait staff has begun hearing voices calling to them by name, when no one is there. I experienced nothing like this in my short time at the Old Yarmouth Inn, but it wasn’t without discoveries. I’m from the midwest, and seafood in the midwest is a risky proposition. It’s either frozen or you’re taking a chance at food poisoning. At some point I vaguely remember having New England Clam Chowder, probably Progresso or something similar, and the experience left me scarred. As I’ve said elsewhere on this site, I tend to order from the bottom of the menu, the lowest price items. This allows me to also explore the liquor cabinet of the establishment, and if they do the cheapest items on the menu, well, you can be assured that they do the top end well also. If the specialty is steak, it’s a bacon cheddar cheeseburger. If I’m in a nautical area, it’s fish and chips. So on Cape Cod it was the fish and chips, with fresh haddock. But I also noticed in the soups New England Clam Chowder. Remembering my earlier experience I blanched at the thought, but remembered that after all, I’m in New England. So I gave it a try. Let me tell you, $7.50 for a bowl of something so yummy that it opens your eyes to a whole new taste treat is a bargain. From the first bite on, I didn’t care if I saw a ghost or not. And no, I didn’t see a ghost. There was no sign that the bartender had to hold the glass still when my beer was poured, evidently a common occurance as the ghost of the Old Yarmouth Inn has a tendency to move it from beneath the taps otherwise. The fish and chips were alright, certainly nice portions, but the crust tended to fall off as soon as you cut into it. So if you wanted your haddock with crust you had to sort of assemble it at times on the fork. Not bad and certainly tasty, but for nineteen bucks you expect a bit more. Then again, my fish and chips experience in Massachusetts has been decidedly hit and miss, so perhaps frying fish is something New Englanders just don’t do well? After dinner I did manage to slip into the Rose Room, still empty and took a seat at one of the tables. Some years back, a theatrical presentation of a seance was held in this room, but seemingly the spirits didn’t realize it was just an act. The next morning the owners found a vase which had held blue marbles and roses, split in two on either side of the fireplace. The marbles had been arranged in front of the hearth, with the roses fanning out between them. And then there’s the apparition of the fellow waiting at his table in the Rose Room, who disappears when you go in to take his order. All this made for a creepy few minutes there, alone in the Rose Room. But eventually the hostess wondered what I was doing, and I made some sort of excuse about admiring the decor and wandered back to my table. It was a nice place to people watch and nurse my beer, but eventually I paid my bill and took one last walk through the inn. 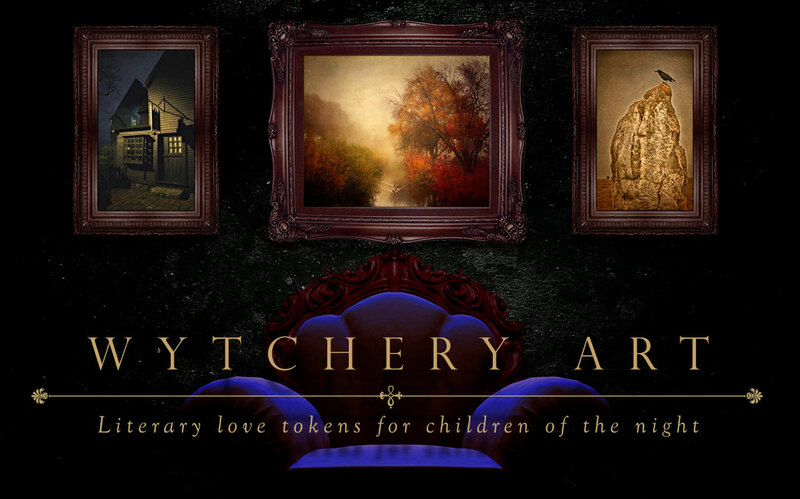 With its rich history and virtual wish list of hauntings, it would be a dream come true to have the run of the place alone. But in the end, you come to the Old Yarmouth Inn for the history and the food. And on those two counts, you shouldn’t be disappointed. 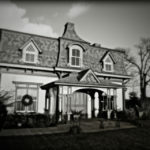 Gothic Travel Rating: Some restaurants just feel creepy, but the Old Yarmouth Inn isn’t one of them, despite the plethora of supernatural occurances. If one can procure a guest room, which are available seasonally, then the sky is the limit. But alas, even though the food might rank an extra point, on the creepy scale it’s a tasty three crypts.